It’s a very good practice that you check the dependencies of the other objects when you change an object. Many developers just don’t do it, even when the change(s) is tiny it could withdraw change(s) in other objects. The example below is given for a stored procedure. 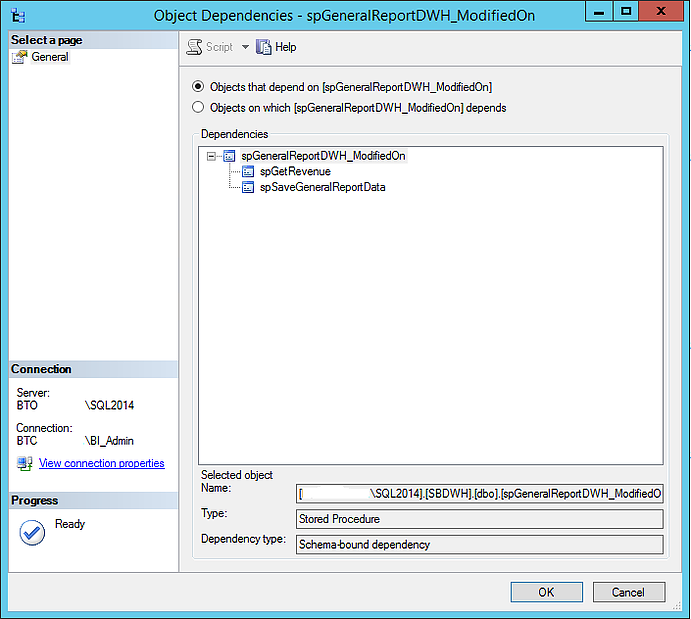 I made a change for stored procedure spGeneralReportDWH_ModifiedOn and then I usually check depending objects as well as the objects the stored procedure depends from. Figure 1 shows the objects that are depending on the modified stored procedures. 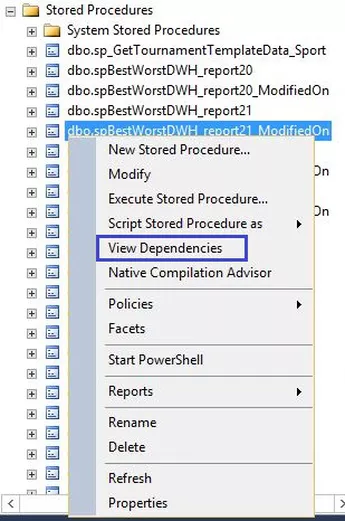 This is a very good option offered in SSMS and it seems to be not used regularly, at least among the colleagues I’ve been working with in the past several years. I’ve noticed that so that I’d like to share it. This entry was posted in SSMS and tagged hints and tips by Igor Micev. Bookmark the permalink.